Due to excess moisture in the track and no sun, we have canceled the races for Friday, June 22. Stay tuned as we are working with the sponsors to reschedule tonight’s Karl Tinsley Memorial Factory Stock race and the Dash for Cash for kids. We hope you all have a great weekend and look forward to seeing you next Friday, June 29, for weekly racing featuring USRA Modifieds, USRA Stock Cars, USRA B-Mods, Grand Nationals, Factory Stocks and E-Mods plus 4-Cylinders. The pit gate opens at 5 p.m., spectator gates open at 5:30, drivers meeting is at 7:15, hot laps start at 7:30 and racing gets underway at 8 p.m.
General admission is $12, seniors (65+) and military are $10, kids ages 7-12 are $6 and children ages 6 and under get in for free. Suites are $20 with suite tickets for kids ages 2-12 just $10. 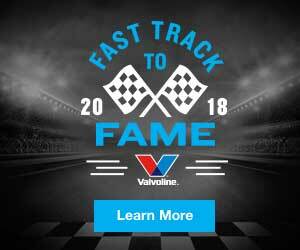 Pit passes are $30 or $10 for kids ages 6 and under. Complete results, schedule information, track details, car class rules, and news is available on the track’s website at www.lakesidespeedway.net. Contact the track at (913) 299-9206. The track location is 5615 Wolcott Dr., Kansas City, KS, one mile west of I-435 (exit 18) on SR 5 (northwest of Kansas City. Like and follow on Facebook at www.facebook.com/lakesidespeedway.kansascity.